Pool Deck Trash Cans are ideal for managing trash in commercial pool deck areas. We have selected the best trash receptacles that last in a corrosive pool deck environment. Pool deck trash cans may use different mounting options and materials to meet your commercial needs. Our pool deck approved trash cans are made in the USA and keep your pool and pool deck clean only from Pool Furniture Supply! Round 55 Gallon Stadium Series Steel Trash Can with Liner, 86 lbs. 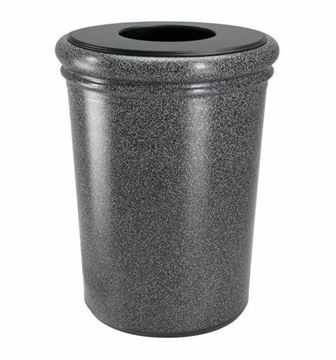 Round 36 Gallon Oakley Series Standard Steel Powder Coated Trash Can with Liner, 95 lbs. Why choose from Pool Furniture Supply? We have hand selected what pool deck trash cans will withstand a commercial swimming pool environments. We chose these plastic and non-corrosive receptacles because we believe they are the least likely to stain a pool deck. We do not recommend steel construction or trash cans that may corrode on pool decks where chlorine and chemicals are used. Give us a call to discuss how we can help provide pool deck trash cans with receptacles, patio tables, umbrellas, chaise lounges, and chairs! What types of commercial trash cans are good for pool decks or patios? 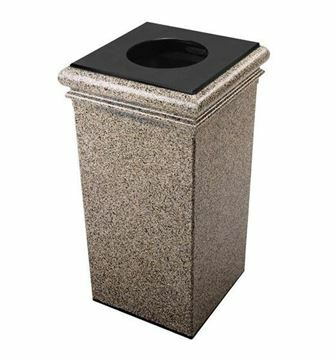 Concrete trash can receptacles are the perfect commercial trash can to collect your garbage. 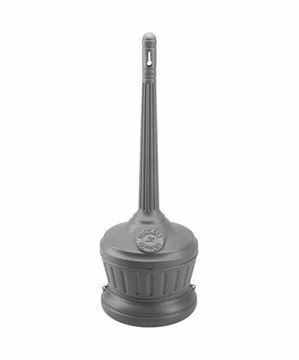 Heavy concrete trash can receptacles can be used for garbage, paper trash, and recycling cans and bottles. Commercial concrete trash cans are permanent and vandal resistant. 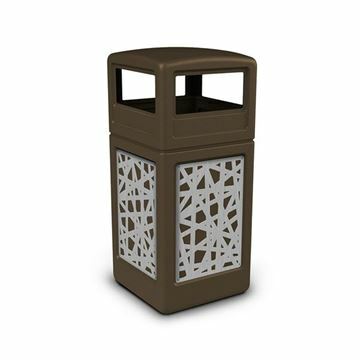 Concrete trash can receptacles made from commercial cement are heavy, attractive, durable and weather resistant. Choose a color and texture that complements your surroundings and blend into the environment naturally. 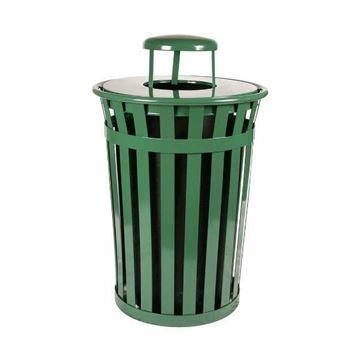 Recycled Plastic Trash Receptacles for commercial outdoor projects are low maintenance and high capacity. A site amenity that is environmentally friendly for theme parks, streetscapes, and retail centers. Outdoor Recycled Plastic Trash Cans are priced to sell and are the best value. Our prices are the best you will find. 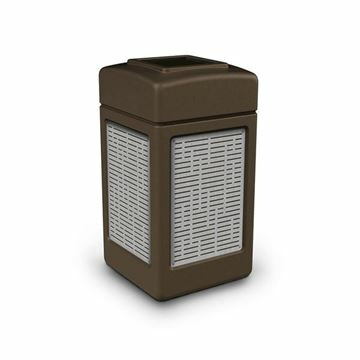 Plastic outdoor trash cans and receptacles are made for outdoor heavy duty trash collection. Outdoor plastic trash can receptacles and plastic garbage cans are the best value you will find for your commercial trash collection needs. Indoor and outdoor plastic trash cans are used at restaurants and fast food restaurants such as McDonald's, Burger King, and other franchise restaurants. 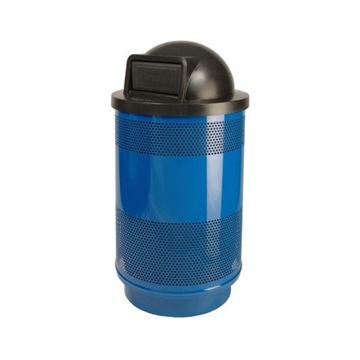 These plastic trash can receptacles for sale are used at public schools, swimming pools, office buildings and parks use these plastic trash cans to collect litter, garbage, refuge, and trash are at the best value.